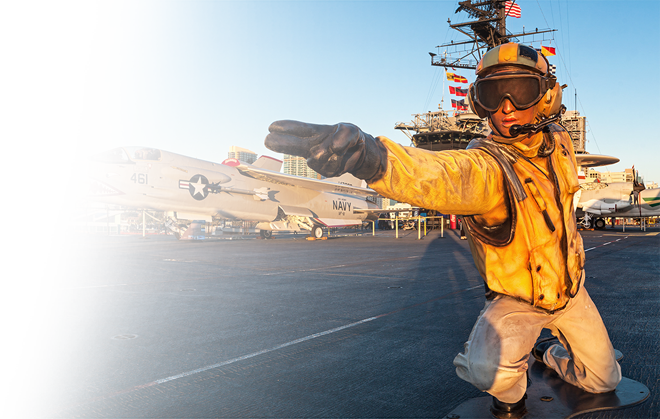 Imagine spending the night on the longest-serving aircraft carrier of the 20th century. 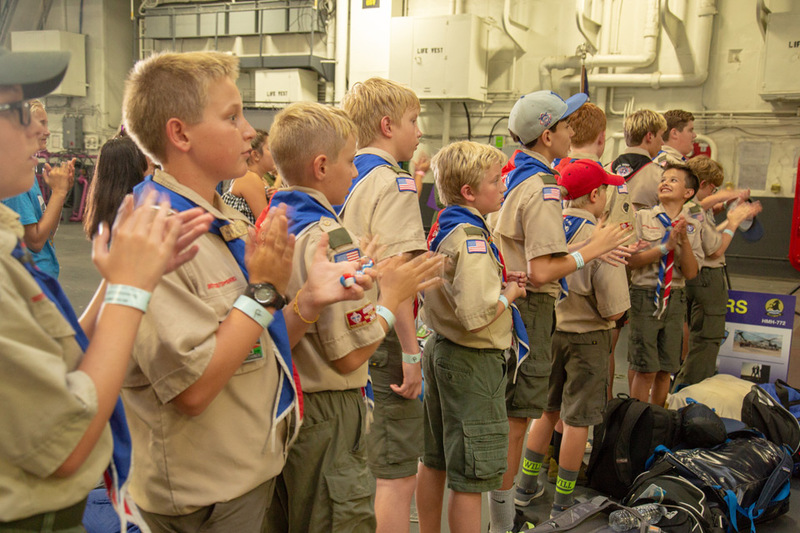 Walking in the footsteps of a true Midway Sailor, sleeping in enlisted berthings spaces, dining in the galley, and much more! What is the Overnight Adventure? 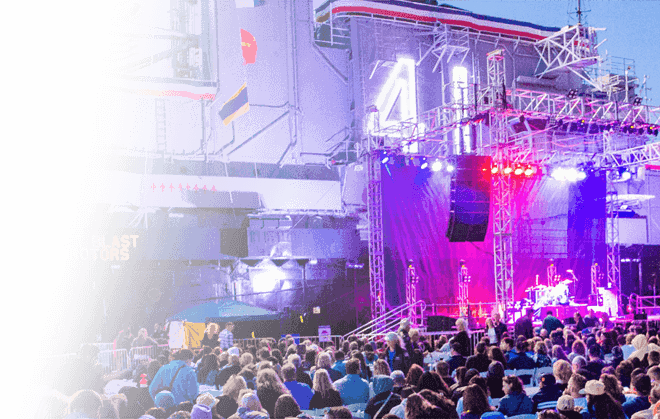 A unique opportunity for any organized youth group of 20 or more to spend the night aboard the legendary USS Midway! 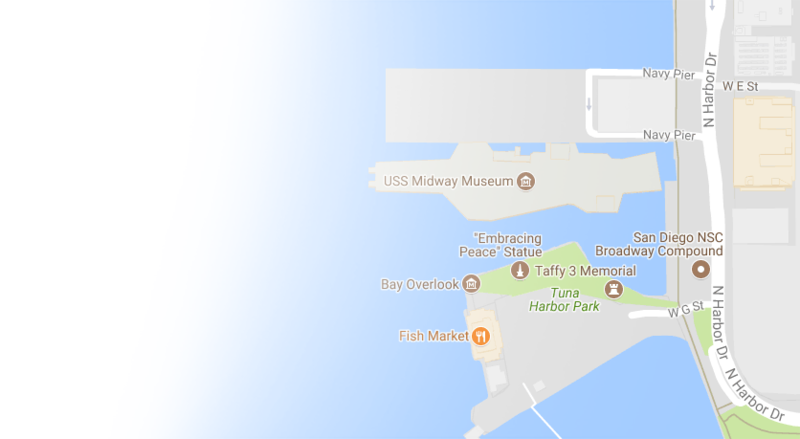 Bring a sleeping bag and pillow and snooze where the enlisted sailors berthed while the USS Midway was active duty. 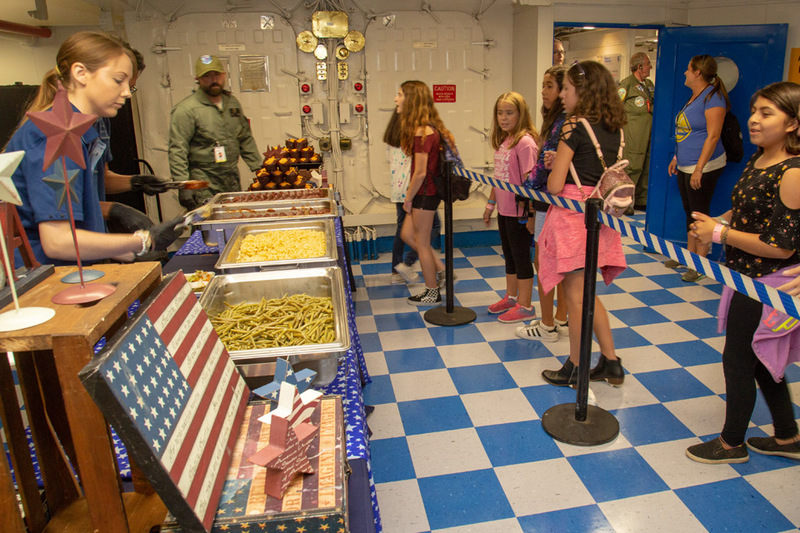 Just like the sailors, you will be eating dinner and breakfast in the crew mess hall with meals inspired by Midway’s original cookbook. 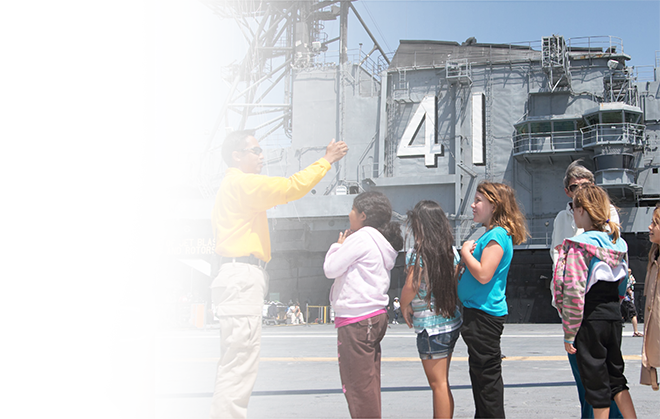 Walk in the footsteps of sailors who bravely served aboard the USS Midway. 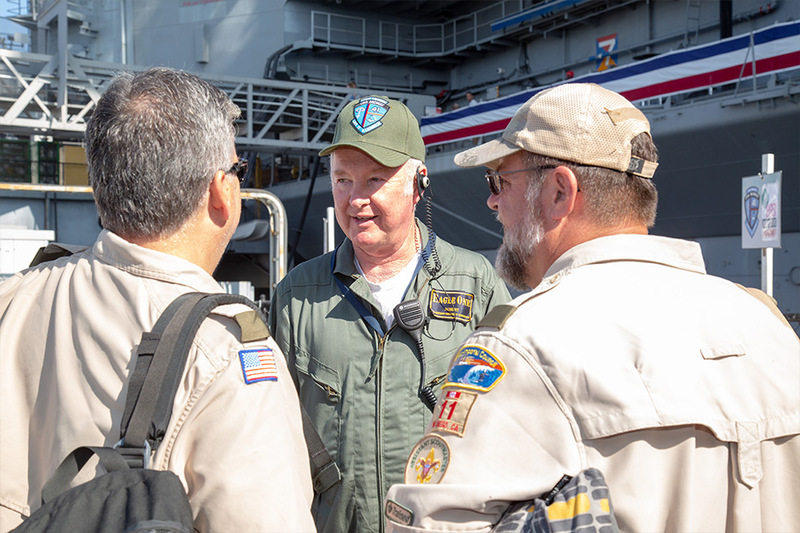 Beginning with a Reconnaissance Mission to find hidden Midway facts, you will then take part in unique behind-the-scenes tours and hands-on engagement for a sense of what life was like for sailors on the high seas. This program is intended for youth groups with participants up to 17 years old. Explore the flight deck under the stars. Sleep in authentic Enlisted Berthing spaces used by Midway Sailors. 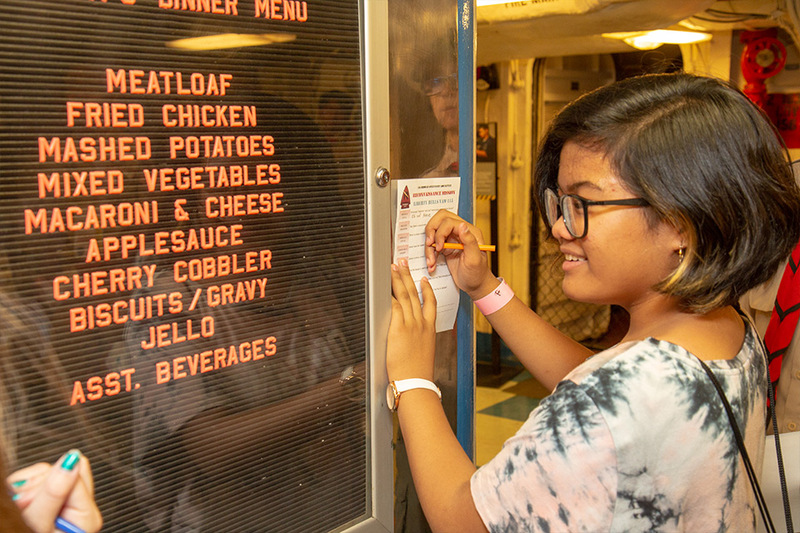 Eat dinner and breakfast in the original ship’s Galley. Embark on special behind-the-scenes tours of the ship. Ages 4 – 10 must have individual chaperones, and for ages 10+ there must be one chaperone for every 5 youth. Wheelchairs and limited mobility cannot be accommodated for this program due to the structure of the ship. 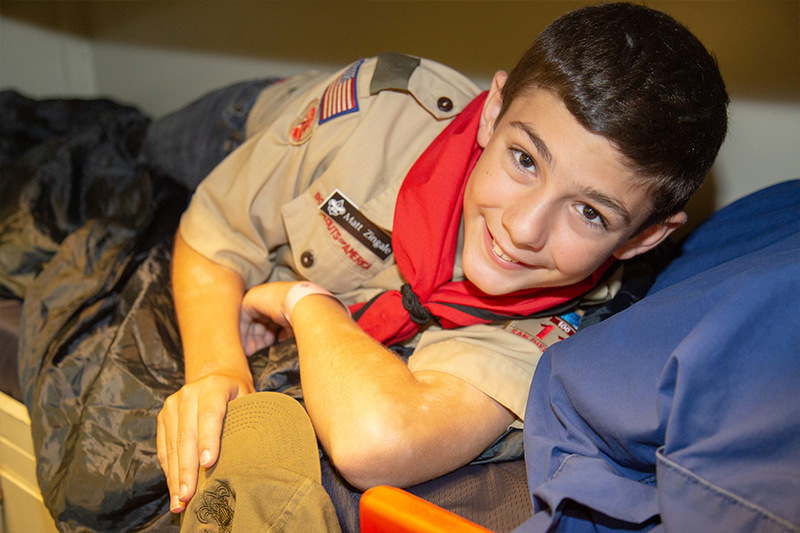 Family Overnight offered on June 29, July 6, July 13, July 26, August 9 and October 26, 2019. 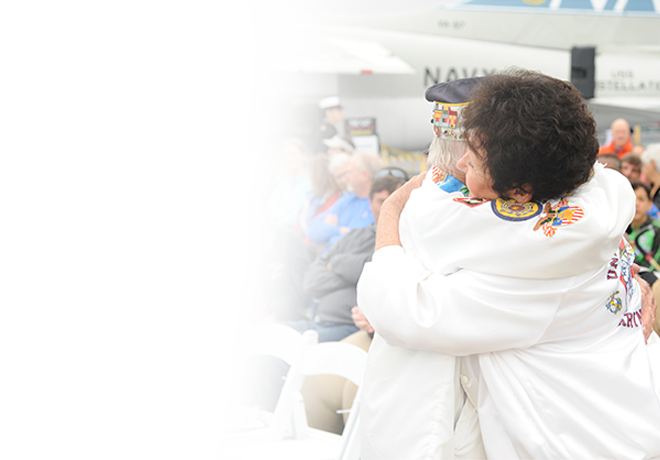 First Responders and Military Overnight offered on September 13, 2019. 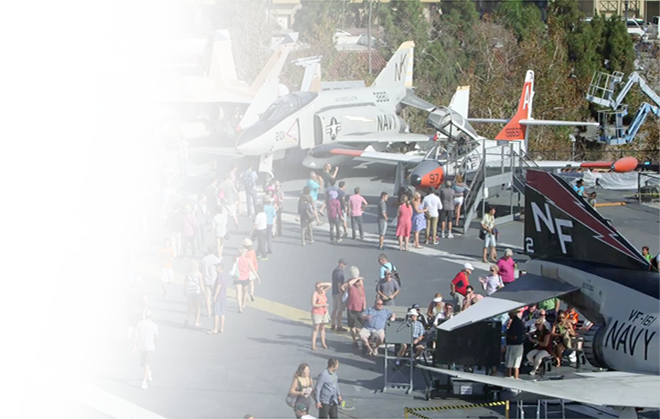 Spend the night onboard the USS Midway with the whole family! 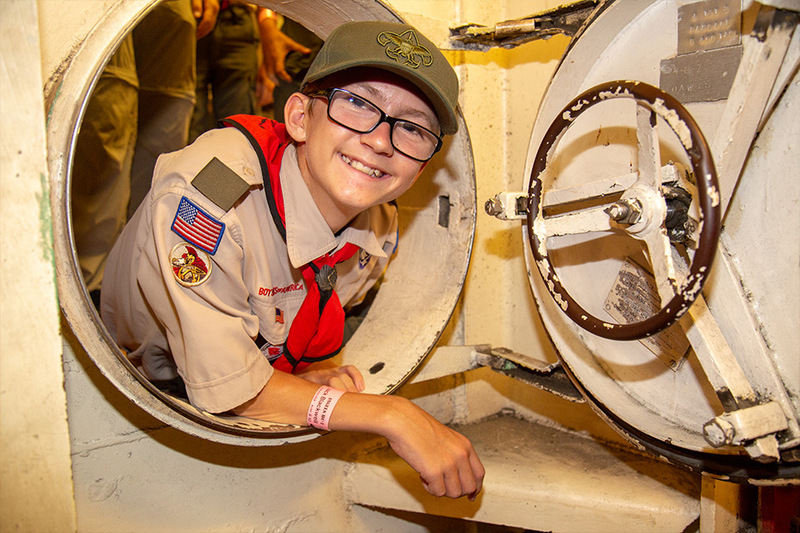 Embark on a Family Overnight Adventure and walk in the footsteps of sailors who lived and served aboard! 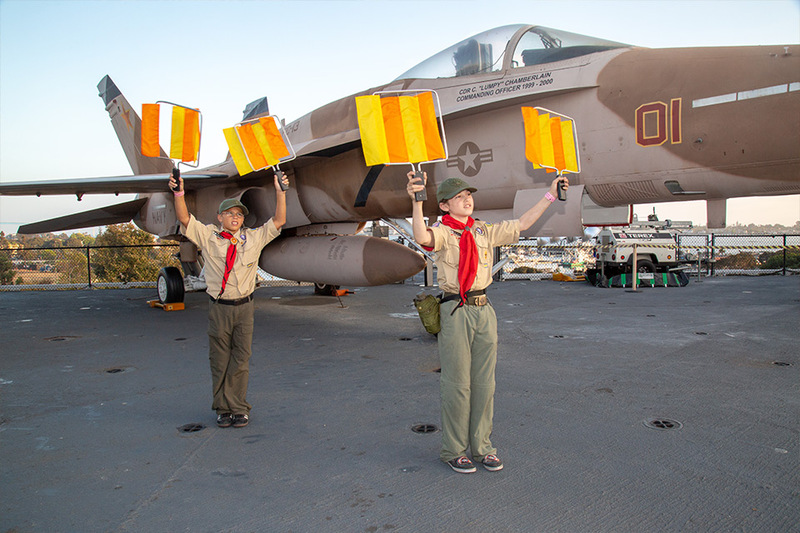 Become an honorary crew member of the USS Midway. This Overnight Adventure group will board as the museum closes. Arrive at Navy Pier by 4:30 pm to board by 5 pm. 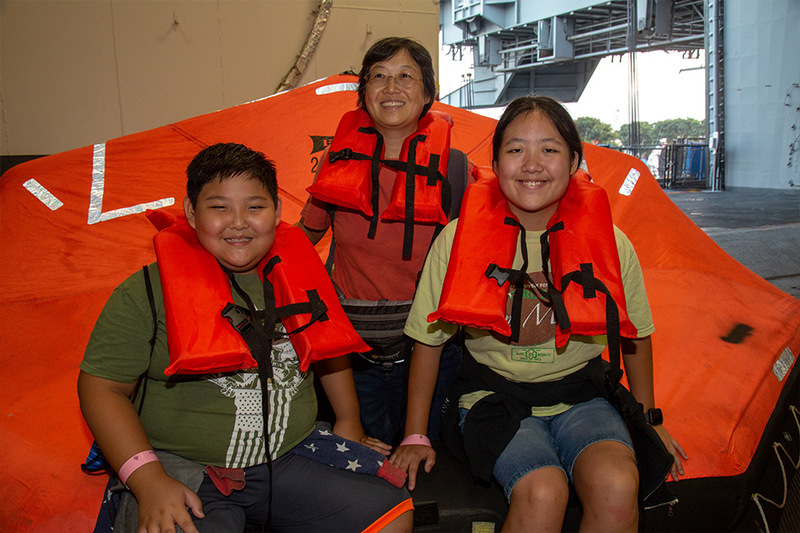 On select dates throughout the year, we invite families to spend the night onboard the USS Midway following a family fun movie night! 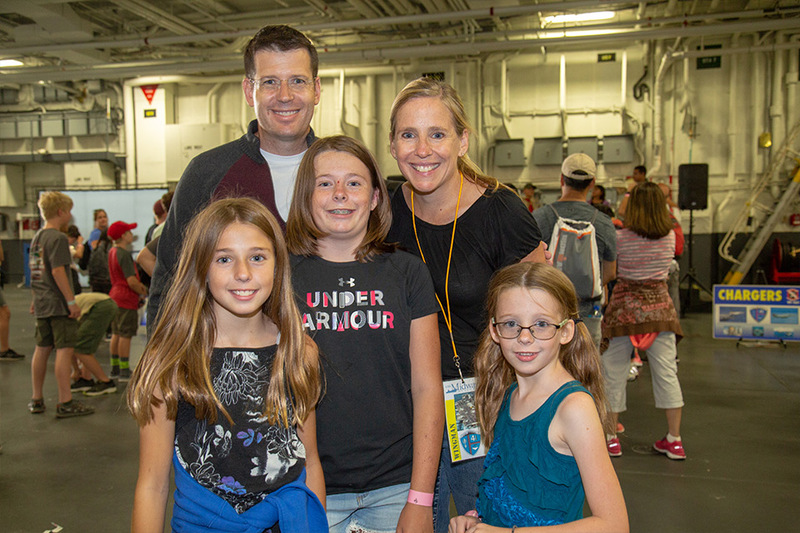 The Movie Night Sleepover allows guests to enjoy a movie screening on the flight deck including family fun activities, additional time to explore the flight deck at night, and the opportunity to spend the night in the enlisted berthing spaces of true Midway Sailors. In the morning, enjoy a quick breakfast and return ashore. Past movies have included “Finding Nemo” and “Moana”. This program is offered select dates of the year. 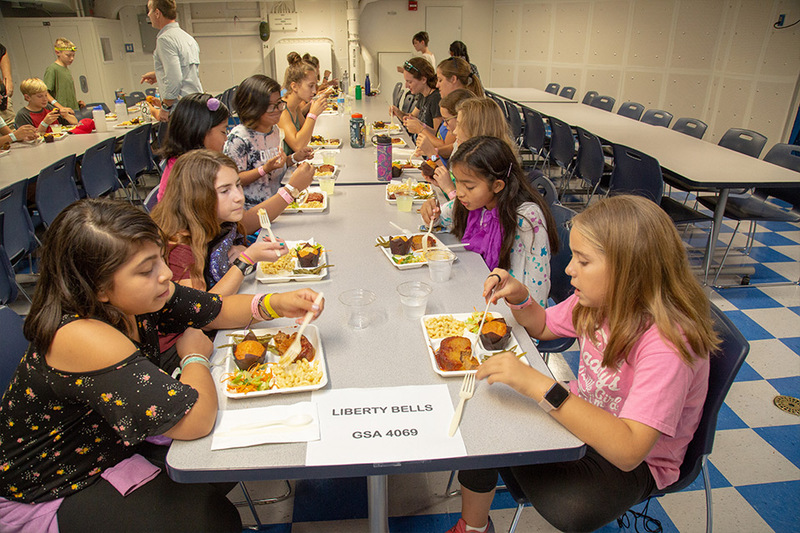 Cost varies depending on the program. 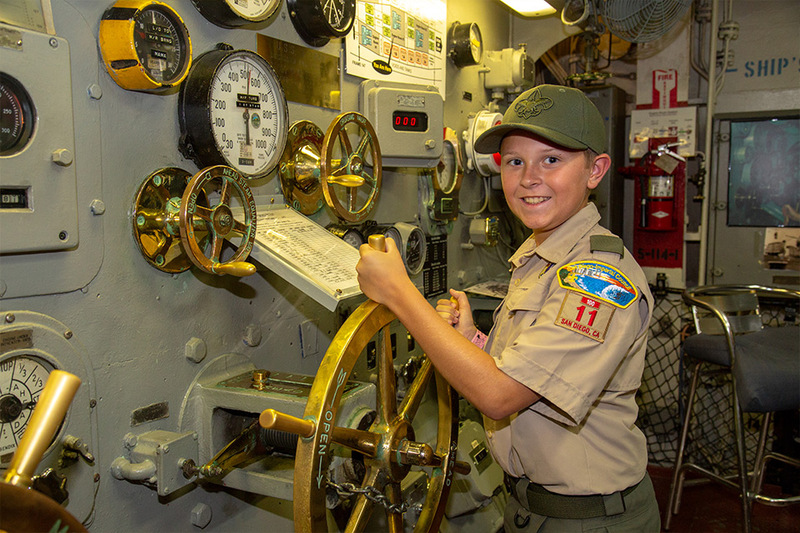 Youth groups with participants ages 4-17 are welcome to come aboard for Midway’s Overnight Adventure! 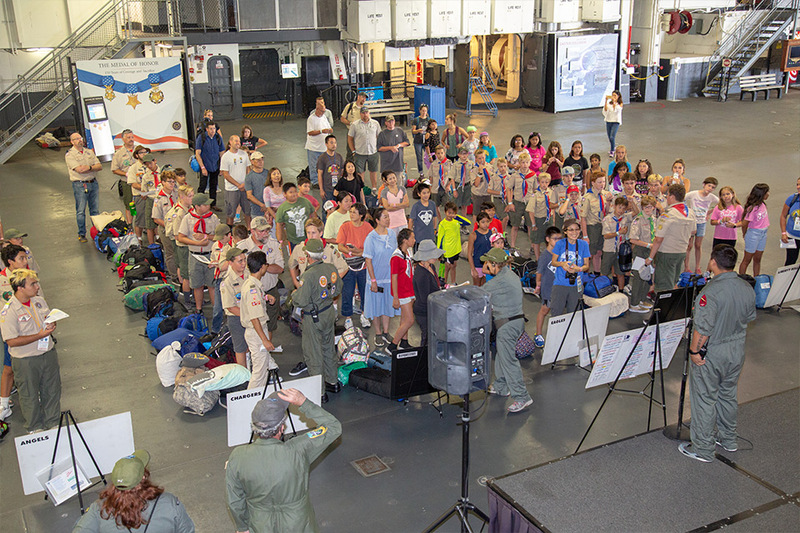 Midway’s Youth Programs Team will create the perfect program to ensure an enjoyable experience for your group!